140 total shares. Be the next! Save David to your Collection. Register Now! 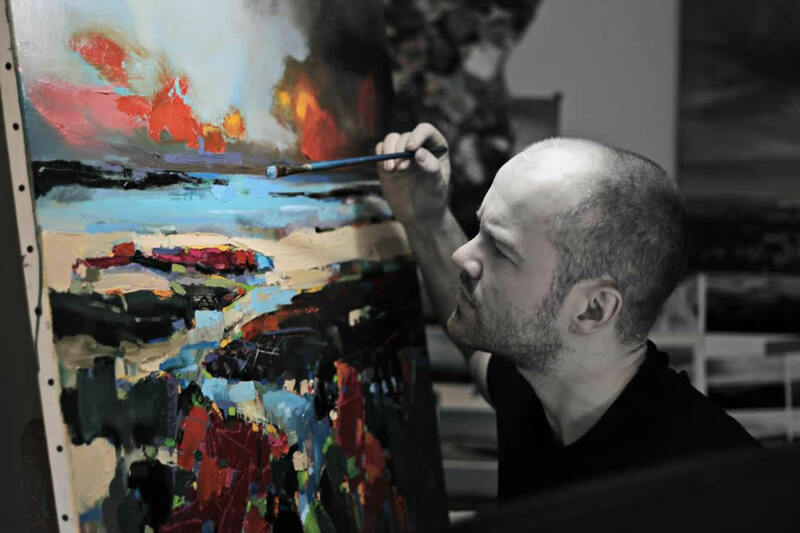 David Mach studied at the Duncan of Jordanstone College of Art then at the Royal College of Art in London. 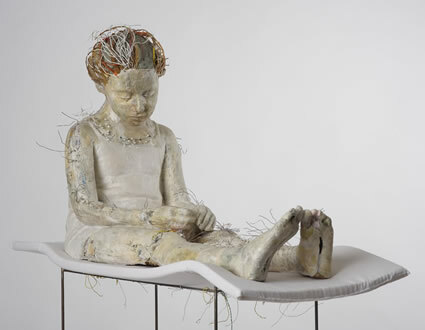 His style is based on assemblages of mass-produced found objects. These include magazines, vicious teddy bears, newspapers, car tires, matchsticks and coat hangers. Many of his installations are assembled in public spaces and exist for only a limited time. In the early 1980s, Mach started to produce some smaller-scale works assembled from unstruck matchsticks. These commonly took the form of human or animalistic heads and masks, with the colored match heads arranged to construct the surface. He often ignites his match pieces as a form of performance art. The first time this happened, it was accidental. 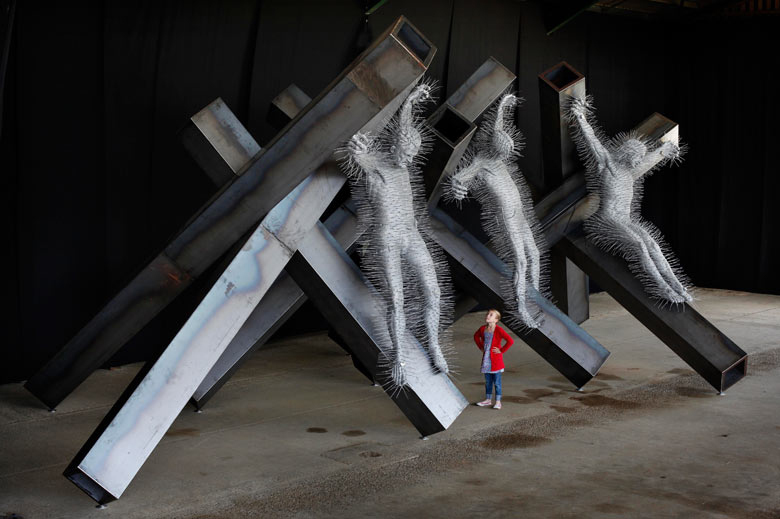 Following several shows and public installations, Mach was nominated for the Turner Prize in 1988. In 2000 he joined the Royal Academy of Arts as Professor of Sculpture. 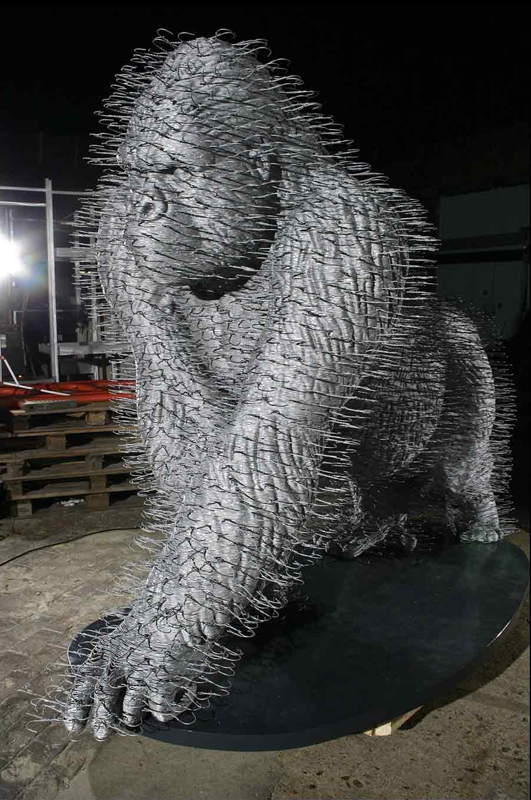 "My only feature that is not a painter tells you how much I like Scottish sculptor David Mach's work. As well as reminding me of 'Pinhead' from 80's movie 'Hellraiser', his coat hanger sculptures resonate with me in their ability to obscure well crafted work in a way that adds to their intrigue. 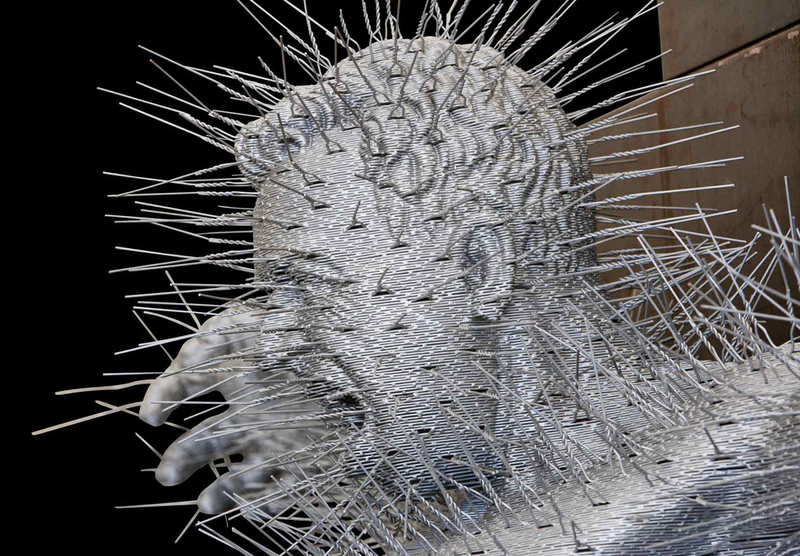 The needle like protrusions paradoxically soften the edges of the figures and create a beautiful aura. Deconstruction themes are also at play in his matchstick heads which he sets alight. 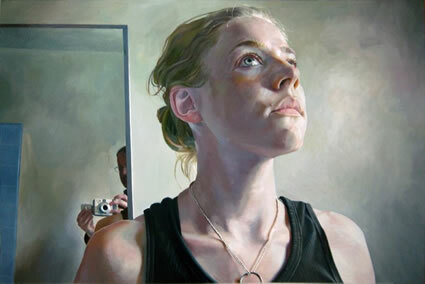 I like when artists are not afraid to destroy their painstaking process for more visual appeal." It is beautiful, I can really feel the expressions and emotions. awsome looking with a reminder of jesus christ on the cross. that is very nice!!!!!!!! huge and very i mean very uniquie!!! Speachless and holding on till the last breath.....and still I onder how this came to be!! this has great 3D effects!! !